We have been so busy here in Nashville, that we have not traveled very much in the past two months! However, that does not mean that we haven’t been eating! Nashville has a couple new restaurants that we can’t wait to share as well as some that we have just now experienced ourselves. We got around to visiting Atlanta again in October and came back with some great recommendations. 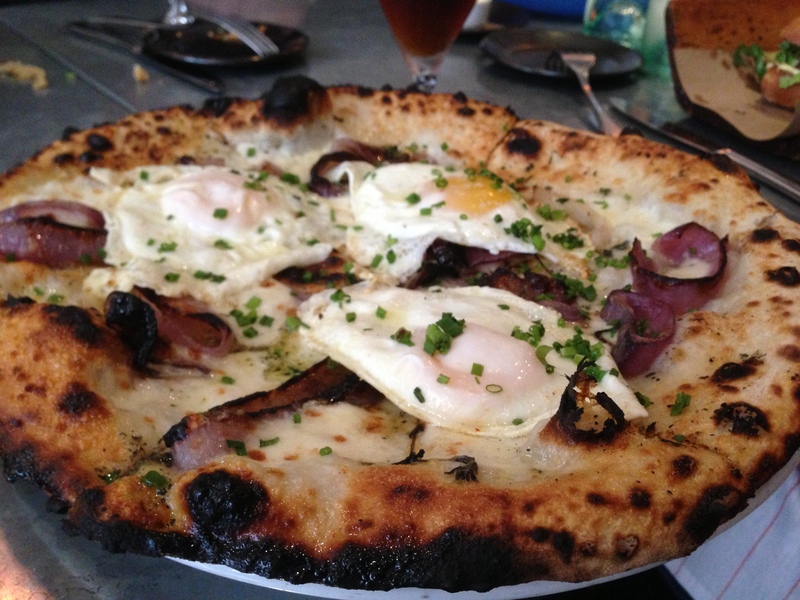 Our post from Austin and ACL is long overdue, but we are still happy to report on a few of the great places we tried! The Mighty Cone – “We Don’t Say Fried… We Say Deep Saute” is the slogan on the side of this food trailer started as a way for the Hudson on the Bend team to bring their flavors to the crowds of the Austin City Limits Festival. The specialty of this trailer is crunchy chicken wrapped in a tortilla and served in a cone. Try the tasty Chicken-Avocado cone. Contigo Austin – outdoor beer garden in East Austin featuring charcuterie and creative small plates (think oxtail sliders). 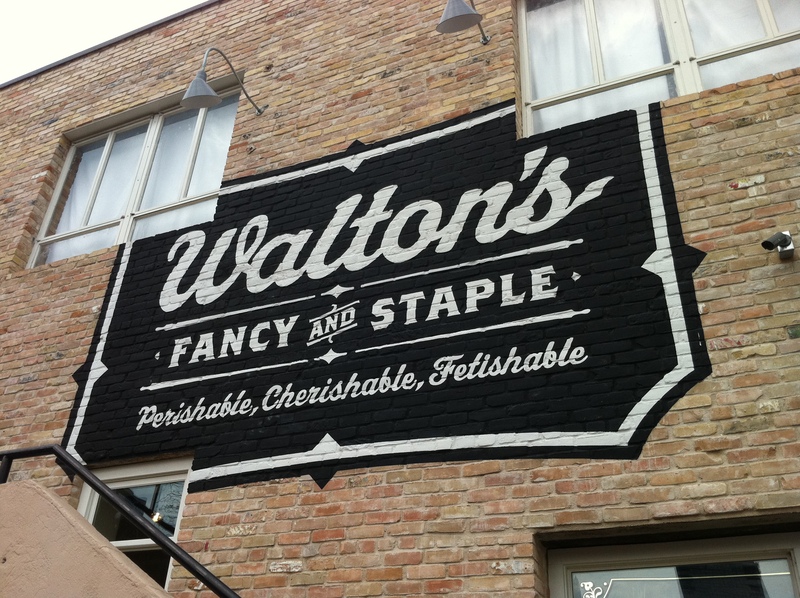 Walton’s Fancy and Staple – wonderful new endeavor on West 6th from Sandra Bullock and her team that is a combo coffee/sandwich/flower shop. The decor is beautifully rustic industrial and the sandwiches were quite good as well. 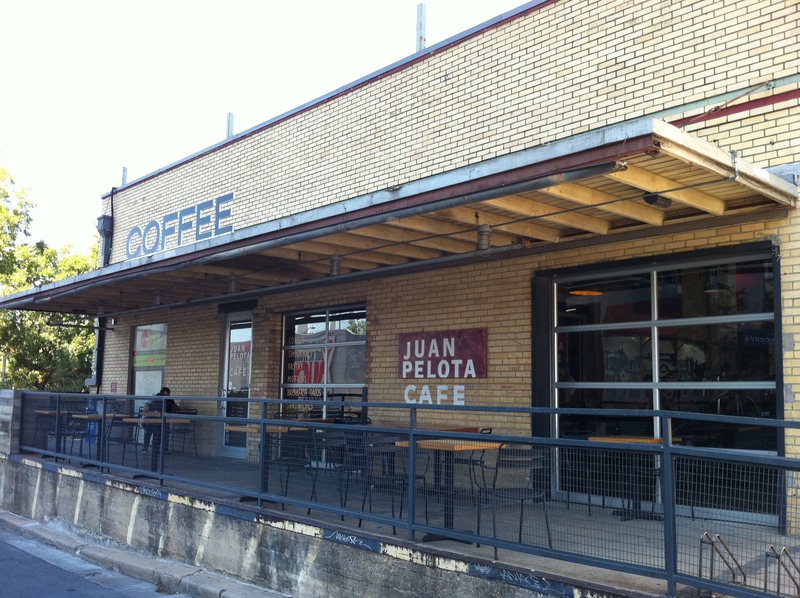 Juan Pelota – tiny coffee bar located within Lance Armstrong’s Downtown/Warehouse District bike shop, Mellow Johnny’s, now pulling espressos with coffee beans from Portland’s fantastic Stumptown Coffee Roasters. Royal Blue Grocery – new concept of the hip modern grocery/corner store with 3 locations in Downtown Austin with a small but well chosen selection of sandwiches, beer/wine, as well as bare necessities. 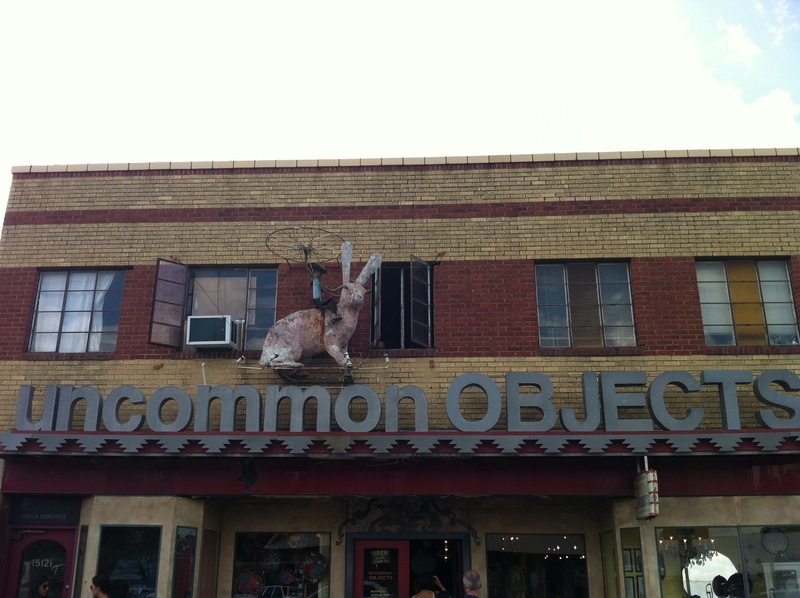 uncommon OBJECTS – large selection of “antiques.oddities.curious goods” in this great unique spot on South Congress. Definitely worth a walk around inside if you are hanging out on South Congress. Odd Duck Farm to Trailer – food truck from Chef Bryce Gilmore with a rotating menu of critically acclaimed unique bites. 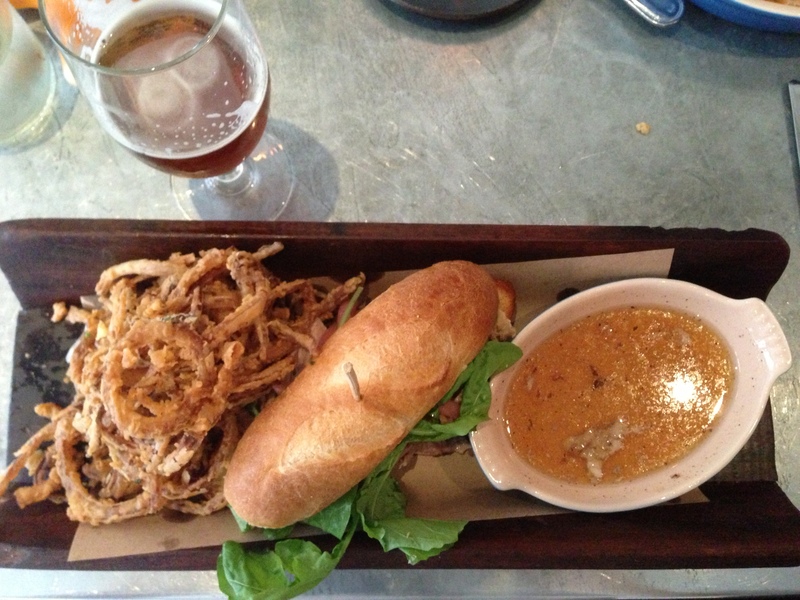 The pork belly slider is fantastic and a constant on the menu. Open for dinner only. Opa! 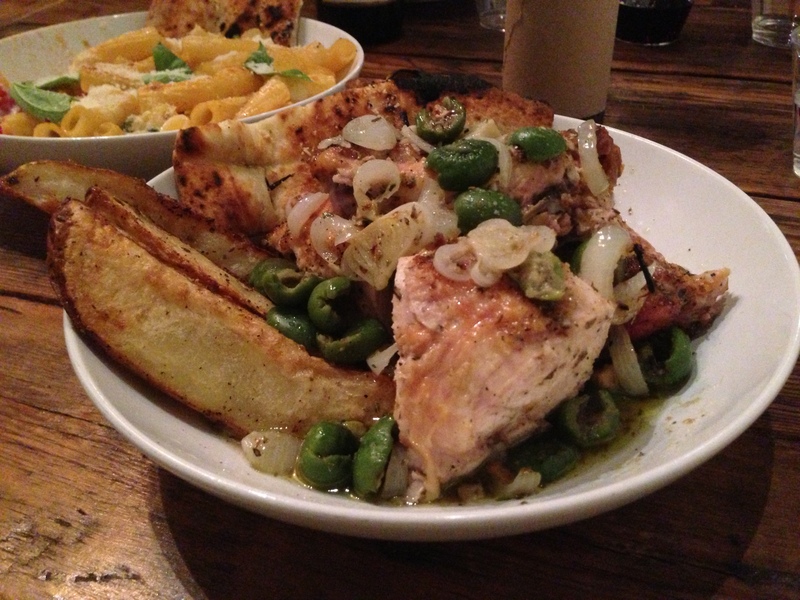 – fun coffee and wine bar on South Lamar with nice outdoor seating and Mediterranean small plates. Star Bar – newly and nicely remodeled cocktail bar on West 6th with food from taco/slider truck The Peached Tortilla. Bows + Arrows – clothing boutique (with sister-store Spartan) on South Lamar featuring brands like Band of Outsiders, BillyKirk, and Woolrich. Spartan – eclectic and unique small selection of home decor items, local art and knickknacks on South Lamar attached to Bows + Arrows. Elizabeth Street Cafe – French street cafe serving Vietnamese food from the team that brought Perla’s and Lambert’s that due to open before 2012. Look forward to giving their banh mi and Vietnamese drip coffee (with beans from Stumptown) a try. Easy Tiger – this bake shop and beer garden on East 6th from 24Diner’s team should be opening by the end of 2011 and be open from morning to late night. Lick Ice Creams – new ice cream shop on South Lamar that’s attempting to put a dent in the Amy’s Ice Cream’s stronghold on the Austin ice cream scene with more creative offerings – think Cilantro Lime, Breakfast Bacon, and Goat Cheese with Thyme & Honey. 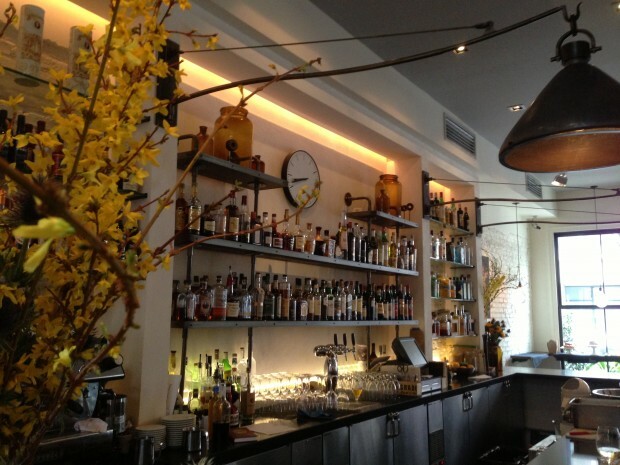 Holeman & Finch Public House – named by GQ as one of the Best Cocktail Bars in America. Famous for their burger which they only serve 24 a night at 10pm. If you want one you have to get there early and put your order in. May want to get a table seat if you can rather than squeeze into the crowded bar area. 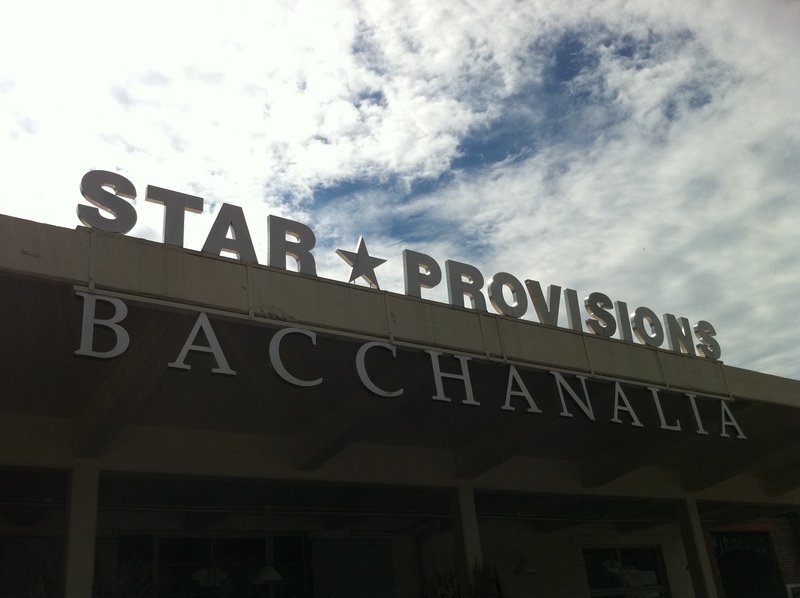 Star Provisions – great market and sandwich shop by the Bacchanalia team with separate markets inside for cheese, meats, seafood, coffee, sandwiches and kitchen wares. Taqueria del Sol – popular casual Mexican joint with a small selection of tasty tacos several sites in the Atlanta area. Give the Brisket and Carnitas tacos a try. 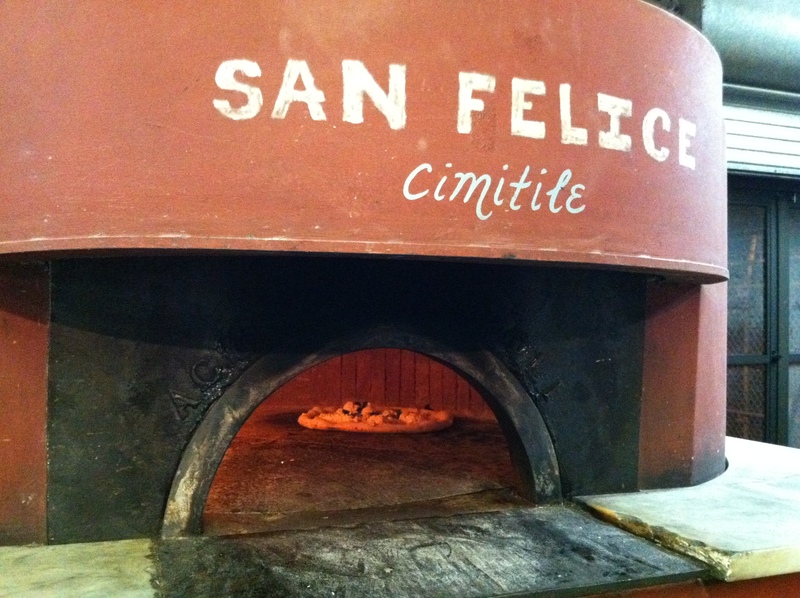 Antico Pizza – bring a bottle of wine (BYOB), step in, step up and order one of these fantastic pizzas and then head back and find a seat in the fun free-for all dining room and watch your pies getting made in several large ovens. The San Gennaro with salsiccia and sweet red peppers was amazing. Octane Coffee – this award winning coffee shop in Midtown brews Counter Culture beans in an exposed brick warehouse vibe – now with a new location in Grant Park. 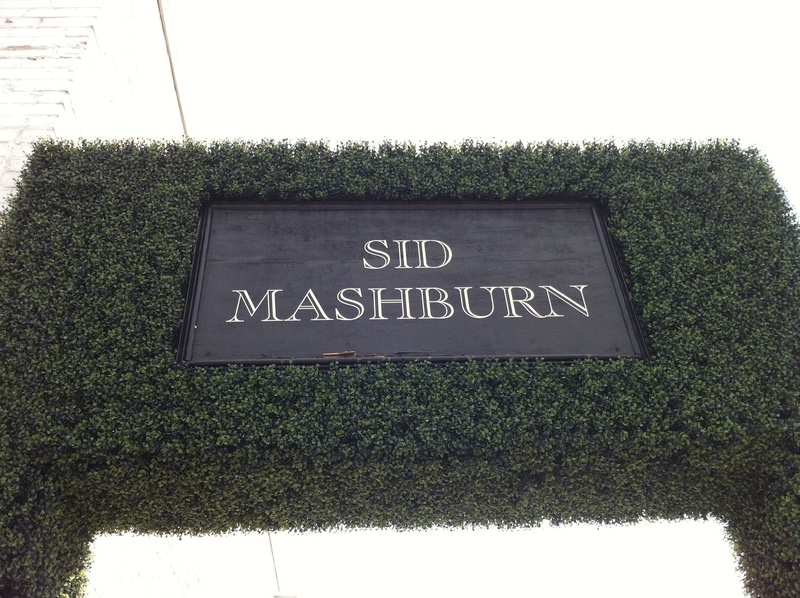 Sid Mashburn – excellent men’s clothing store (with a women’s store, Ann Mashburn next door) with it’s own line of high quality dress shirts, shoes and suits as well as a nice selection of clothes and goods from companies like Barbour and Filson. 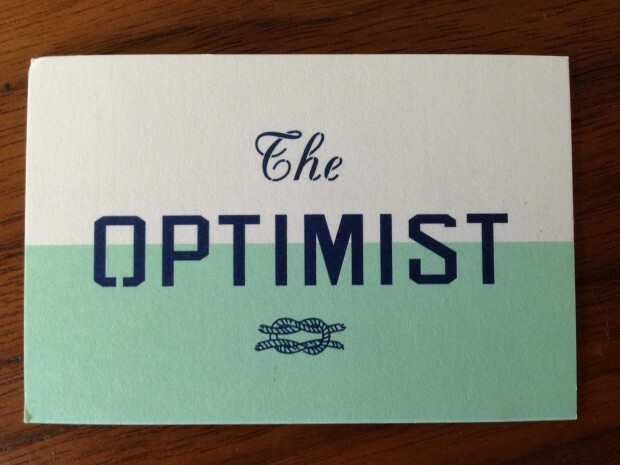 The Catbird Seat: Instantly one of the best restaurants in Nashville, if not the entire South. There are just 30 seats in this small restaurant atop of The Patterson House where you interact with and watch the amazingly skilled Chefs Josh Habiger and Erik Anderson prepare your food around a U-shaped bar. The restaurant is owned by brothers Benjamin and Max Goldberg, who also own The Patterson House downstairs. There is no menu and the chefs prepare 7-8 courses often sourcing local ingredients in preparing their truly unique and delicious meals (one appetizer is dubbed “faux-reo” – dehydrated porcini mushrooms around a parmesan cream resembling an Oreo). Though it is not cheap ($100/person with $30 for drink pairing) – it is well worth it for the experience and truly award winning quality food. 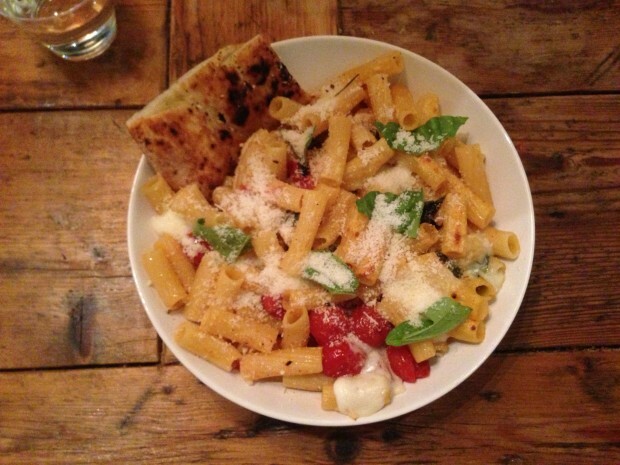 We’d be surprised if they aren’t nominated for James Beard awards in 2012. Reservations must be obtained from their website and plan ahead, we hear that they can be booked up for several months. 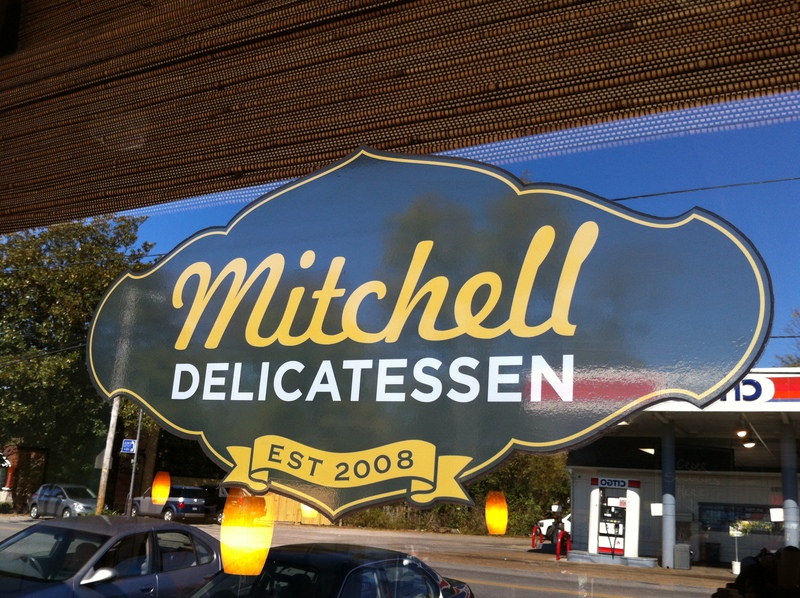 Mitchell Delicatessen – the only thing we didn’t like about this fantastic sandwich shop in the Riverside Village area was how long it took to get there (think East Nashville and then keep going). They use local ingredients like Benton’s Bacon and Silke’s Old World Breads to make one of the best B.L.T.’s we’ve tasted. Their take on the Banh Mi was also great as were the prices (most sandwiches around $6). 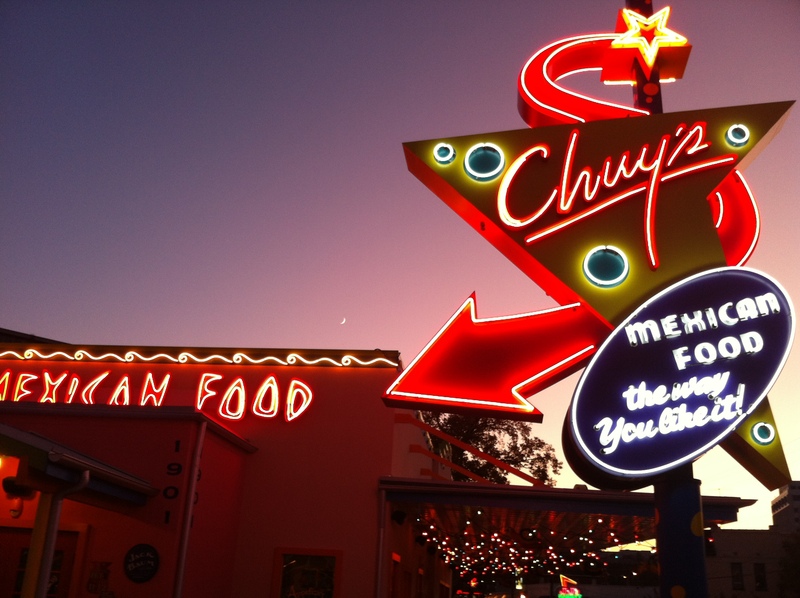 Chuy’s – an Austin original known for it’s fun and unique take on Tex-Mex now has 2 spots in Nashville – one in Cool Springs and spot in Midtown that opened October 2011. Eclectic decor is the rule with one room with hubcaps on the ceiling and another dedicated to cheesy Elvis memorabilia. Great food value with unlimited free chips and salsa. The creamy jalapeno is downright addictive. 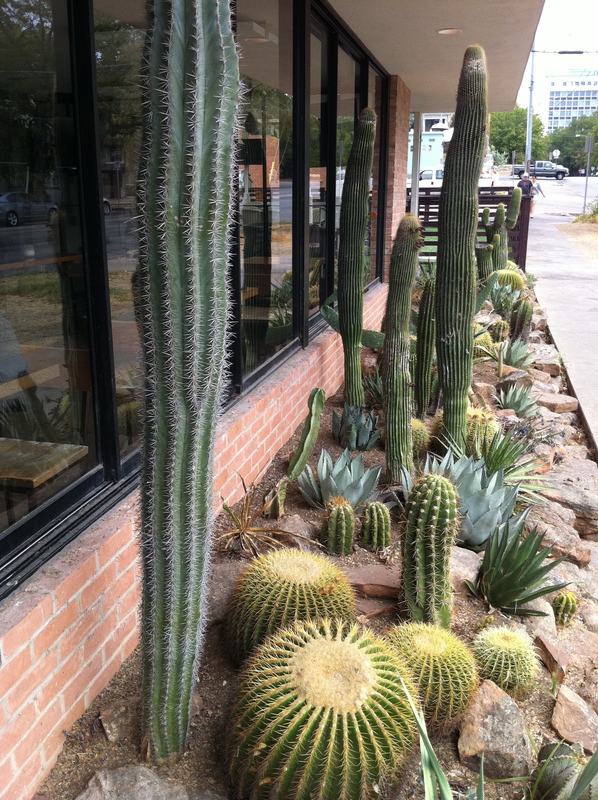 Their tortilla soup and chile relleno are some of their best dishes and the New Mexican Martini is their take on a margarita with a jalapeno infused tequila kick. 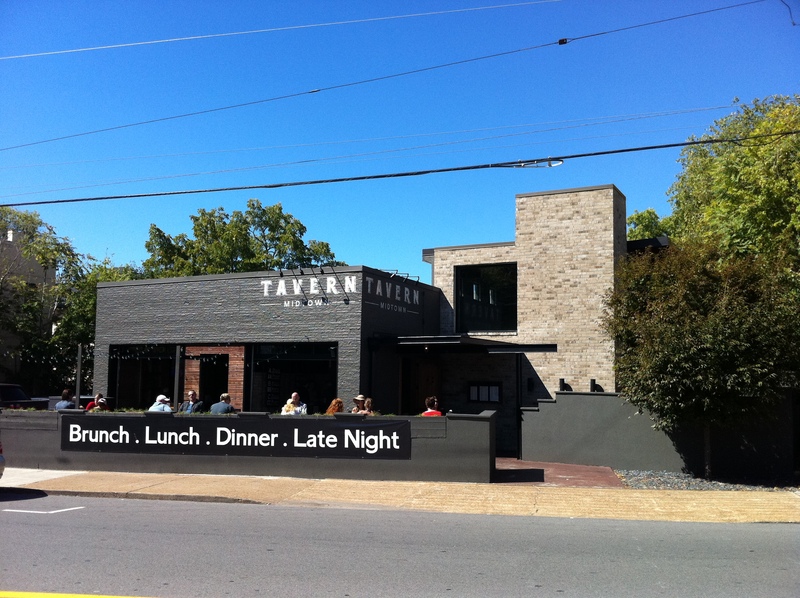 Tavern – upscale gastropub/sports bar in Midtown area with creative takes on bar food and cocktails. Though their drink list is notably short on both quality and quantity of beers, they have a good list of seasonally changing cocktails. The train station meets library decor (all with a hint of Restoration Hardware vibe) works well and makes it stand out from other sports bars in the area. Most everything they make is good but we’ve particulary enjoyed their nachos, Belgian fries, Hack of Chicken, Tavern burger and the Brown Bag Special (grilled bologna on white bread with yellow cheese). They also have a good weekend brunch menu.